Ibiza has launched a convention bureau after attracting events business from corporate including Nike, Swarovski and Volkswagen. 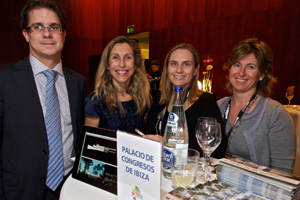 Ibiza Tourism Board has launched the Ibiza Convention Bureau as part of the Ibiza government’s plans to diversify its tourism product and attract business outside of the traditional summer tourist season. Nike, Swarovski and Volkswagen re among the corporate clients that have recently held meetings and product launches on the island. Ibiza Convention Bureau director Jonathan Gomez said the main function of the bureau will be to convert Ibiza into an "unbeatable strategic point for upcoming events, consolidating the island as a key C&I destination".